Leonard, LT stands for “Light Truck”, ST stands for “Special Trailer.” Although both tires are rated for trailer use, there are distinct differences. For passenger tires (including LT tires), ride, traction, and handling are the key design elements and are all achieved primarily by adding flex to the sidewall. This maximizes tread contact with the road, thus increasing traction and allowing the driver to maintain better control over the vehicle. For trailers, sidewall flexing is not a desired effect because it can be a cause of trailer sway. The stiffer sidewalls and higher operating pressures common with ST tires helps control and reduce the occurrence of trailer sway. 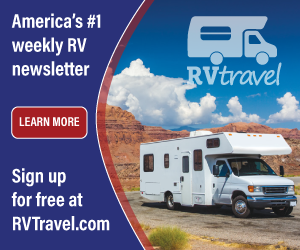 For travel trailers, it is important to match the tires to the application and payload. Since ST tires are constructed with heavier materials, they are tougher and more bruise resistant than typical passenger car tires. This is a plus because trailer suspension systems are generally stiffer and less sophisticated than automotive suspension systems. A tire designed to operate in the more demanding trailer environment will provide you with longer service life and be able to withstand the added abuse trailer tires tend to be subject to. Bottom line, trailers are more stable and pull better on tires designed specifically for trailer use and I recommend that you switch to the ST type. 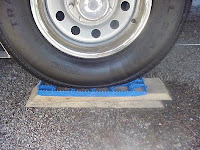 The manufacturer likely used LT tires because they too are rated for trailer use and are simply cheaper than ST tires.